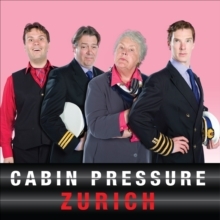 Cabin Pressure is set in the wing and a prayer world of a tiny, one-plane charter airline; staffed by two pilots, one on his way down, and one who was never up to start with. Whether flying a nervous bassoonist to Gdansk or a horrible sister to Helsinki, no job is too small, but many, many jobs are too difficult. Carolyn Knapp-Shappey, MJN Air's formidable boss, has employed two of the very cheapest pilots money can buy: Captain Martin Crieff, who's always wanted to fly and won't let a little thing like lack of ability stop him, and First Officer Douglas Richardson, smooth-voiced old sky god and eternal schemer. Passenger service is provided by the relentlessly cheery Arthur, proud inventor of both Surprising Rice and his own hat. 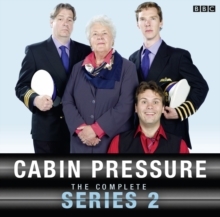 Written by John Finnemore (John Finnemore's Souvenir Programme, The Now Show), Cabin Pressure stars Stephanie Cole as Carolyn, Benedict Cumberbatch as Martin, Roger Allam as Douglas and John Finnemore as Arthur. 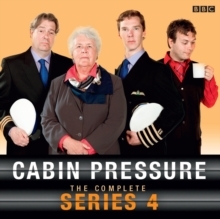 `The more I listen to John Finnemore's Cabin Pressure, the more I think what a stonking masterpiece it is. Perfect in every department.' 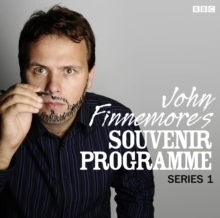 - Philip Pullman 'Unexpectedly brilliant' - Time Out'An inspired new sitcom' - Observer3 CDs. 2 hrs 47 mins.